A while back I blogged about Ashwin, one of my ex-students, who wanted to raise a seed round to build unmanned aerial vehicles (drones) with a hyperspectral camera and fly them over farm fields collecting hyperspectral images. These images, when processed with his company’s proprietary algorithms, would be able to tell farmers how healthy their plants were, whether there were diseases or bugs, and whether there was enough fertilizer and water. At the time I pointed out to Ashwin that his minimum viable product was actionable data to farmers, not the drone. I suggested that to validate his minimum viable product it would be much cheaper to rent a camera and a plane or helicopter, fly over farmers' fields, hand-process the data, and see if that’s the information farmers would pay for. And that he could do that in a day or two, for a tenth of the money he was looking for. Fast forward a few months and Ashwin and I had coffee to go over what his company, Ceres Imaging, had learned. I wondered if he was still in the drone business, and if not, what had become the current minimum viable product. It was one of those great meetings where all I could do was smile: First, Ashwin and the Ceres team had learned something that was impossible to know from inside their building, and second, they got much smarter than me. Even though the Ceres Imaging founders initially wanted to build drones, talking to potential customers convinced them that as I predicted, the farmers couldn't care less how the company acquired the data. But the farmers told them something that neither they nor I had ever even considered--crop dusters fly over farm fields all the time to spray pesticides. They found that there are about 1,400 of these crop duster businesses in the U.S. (the fancy term for them is "aerial applicators"), with about 2,800 planes covering farms in 44 states. Ashwin said their big "aha moment" was when they realized that they could mount their hyperspectral cameras on these crop dusting planes. This is a big idea. They didn’t need drones at all. Local crop dusters meant they could hire existing planes and simply attach their hyperspectral camera. All of sudden what was an additional engineering and development effort now became a small, variable cost. As a bonus it meant the 1,400 aerial applicator companies could be a potential distribution channel partner. 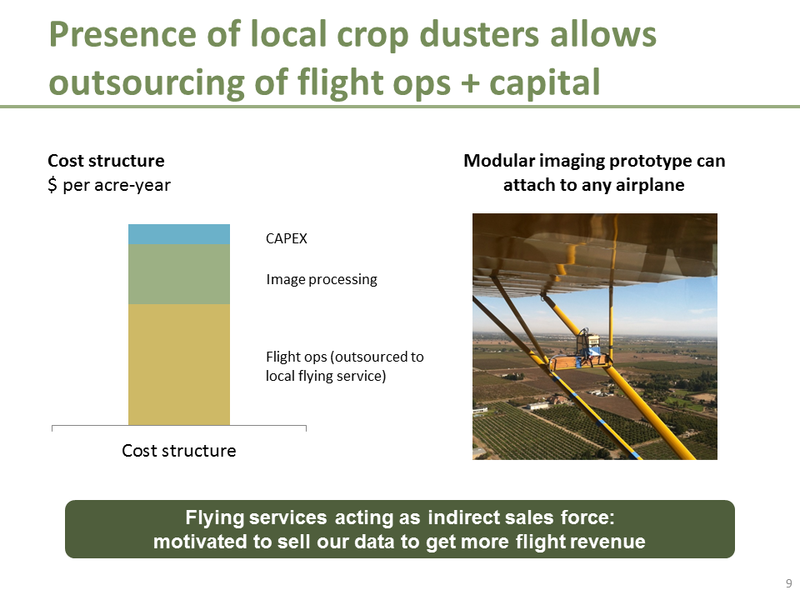 The Ceres Imaging minimum viable product was now an imaging system on a crop dusting plane generating data for high value tree crops. 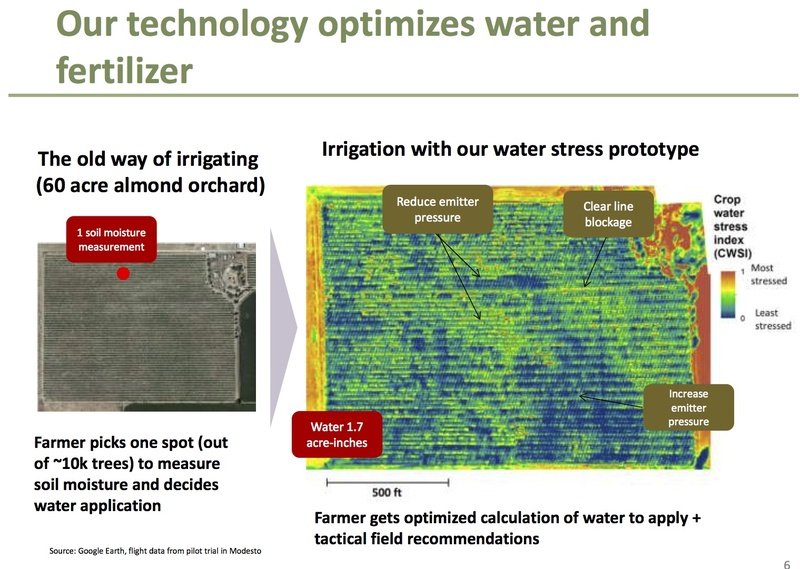 Its proprietary value proposition wasn’t the plane or camera, but the specialized algorithms to accurately monitor water and fertilizer. Brilliant. I asked Ashwin how they figured all this out. His reply: "You taught us that there were no facts inside our building. So we've learned to live with our customers. 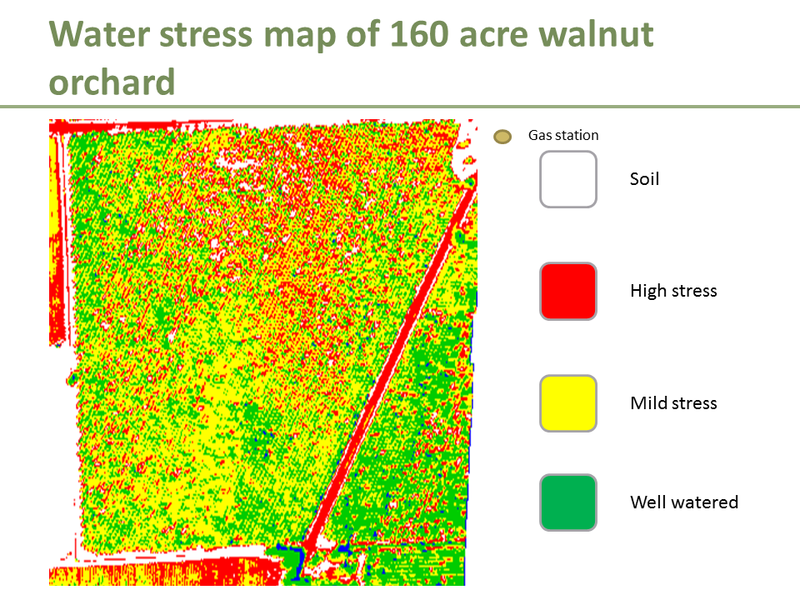 We’re now piloting our application with tree farmers in California and working with crop specialists at U.C. Davis. We think we have a real business." Build continuous customer discovery into your company DNA. An MVP eliminates parts of your business model that create complexity. Focus on what provides immediate value for Earlyvangelists. Add complexity (and additional value) later.